Or, the post in which I admit that I read a YA-bestseller that wasn't Harry Potter and actually liked it. You'd have to have been living under a rock for the last few years to not have heard of The Hunger Games trilogy at this point. It's so ubiquitous that it is even making appearances in the #Occupy movements. At least it did this one time, at any rate. Because it is so everywhere-and-in-your-face-and-read-me-read-me-read-me, I did the only natural thing a book snob like myself could do: I avoided it. That is, until a good friend and fellow blogger sent me a copy and insisted - yes, insisted - that despite all the things I thought I knew about it, I had to read it. She coupled this argument with the fact that I would be able to finish it in an afternoon. Figuring I had nothing to lose but a few hours and some of my pride at insisting that it wasn't for me, I took a stab. In the country of Panem, which sounds shockingly like a country that used to be known as the United States, The Capitol dominates. And, somewhat inevitably, there is an attempted revolution. And also inevitably, in a world of dictatorships and dominatrixes, The Capitol thinks up a twisted punishment for this revolt, which doubles as a constant reminder of their power and control: The Hunger Games. 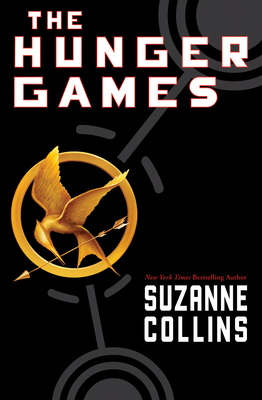 Each district must send one boy and one girl to compete in the games each year, in which children are pitted against a series of man-made challenges - and each other - in a fight to survive. Last child standing wins. All the others... well, they are dead, and thereby have not won. See? I told you it was twisted. I can understand some of the parental objections over the book (although I maintain that attempting to ban a book because it gave your child nightmares is just outrageous), for there is some heavy stuff in there: the importance of family, the concept of sacrifice, the making and breaking of allies. And death. There's all that stuff about death. Ultimately, Collins' imagination is the savior of the book -- her writing is not. Conversations feel stilted and forced, and characters develop unevenly at best. And don't get me started on the sentences that aren't really sentences. Despite all of the flaws, though, I'll go back for seconds and thirds with the next two books in the trilogy. Collins has succeeded in creating a masterful world, a world of centralized power and dictator-ship like rule that is all too possible to consider, and a world to which I'd like to return. I'm eager to find out what happens of the whirlwind media storm created by the Games featured in this first installment, and I really do want to know what happens to certain characters-who-shall-not-be-named-but-if-you-read-the-book-you-know-what-I'm-talking-about. So. To sum up. Maybe not the most well-written book I've read, and certainly not my favorite of ever or even the year, but I've got a soft spot for imagined futures (see my recent review Margaret Atwood's The Year of the Flood), and The Hunger Games fit right in there. Thanks to Emily for the recommendation, the insistence, and then going so far as to send me my own copy of the book -- and for proving that sometimes I don't know what's best for my own reading tastes. It seems I'm on a dystopian, re-imagined future kind of kick. What should I look for next? I had thought that I might enjoy this even though I am not a big YA reader, but then I picked it up at the shop and read the first few pages and was so unimpressed with the writing i didn't buy it. You have made me rethink though - it might be worth pushing through a bit further. I might order it from the library. I must have been living under a rock, Kerry. Okay, I live in Vermont, but still, I am usually aware of books in the "you just have to read this" category (which I too, snob that I am, tend to say - ah, no I don't; or "show me.") Anyway, you have, once more :) caused me to think - Oh - Kerry likes this book - I guess I will give it a look see.